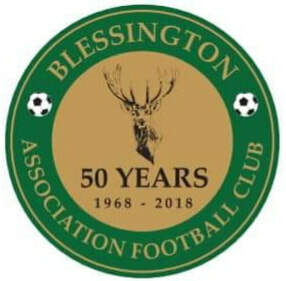 Blessington FC was founded in 1968 by a group of local lads and entered the (AUL) Athletic Union League in Dublin, a league in which we still participate to this day. The club acquired a pitch from Mylie Balfe on the Naas Road and were still playing there to season 2007-08, before our move to our new home at Crosschapel. Back in those first years the team trained at Deerpark and in a place called the “haggard” as it was then known. This was at the rear of Powers Public House on the Main Street or as it is known today the West Wicklow. All committee meetings were held in Powers. 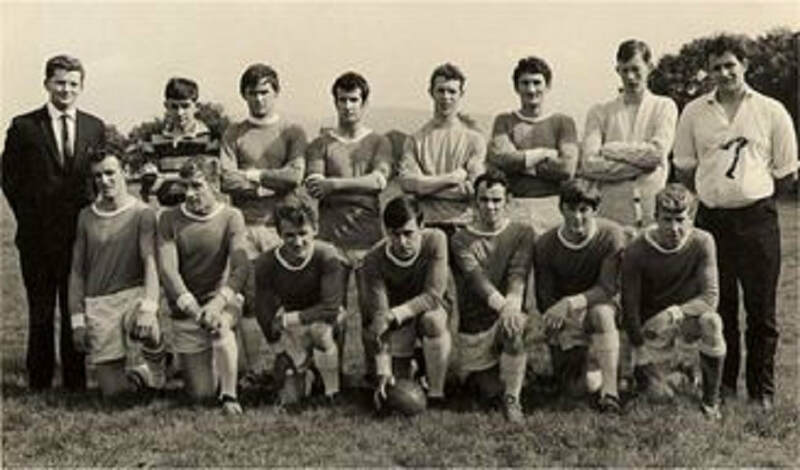 The 1968 team’s first league match was against Court Laundry, which they lost 1-0 at home. 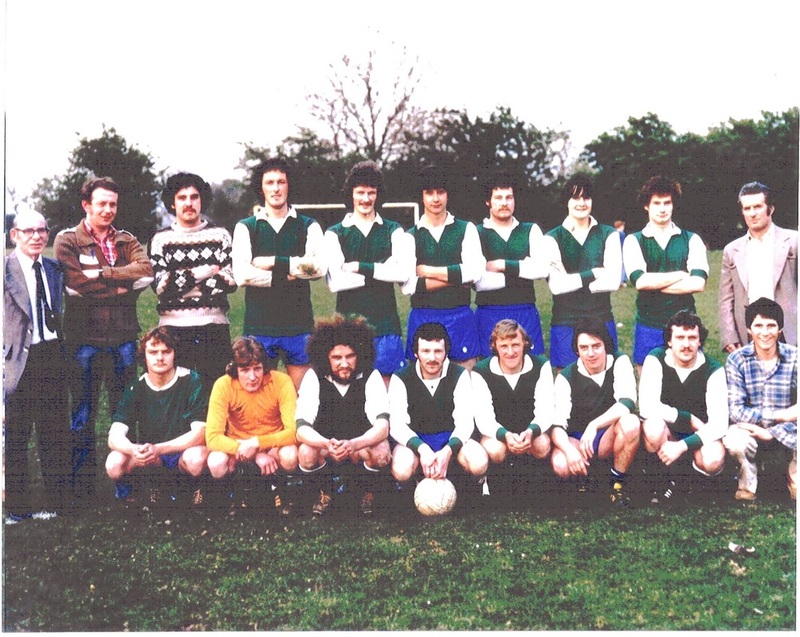 Over the years, despite some superb players and great performances, success was hard to come by in the Dublin league. Several tournament wins such as Ballymore, Dunlavin and our own Jim Cullen were all there was to show for the team’s efforts.The club’s first major honor was achieved in the 1979/80 season, winning the division 3 Sunday league title, incidentally this is still the one and only league title won by the Senior teams in our history! 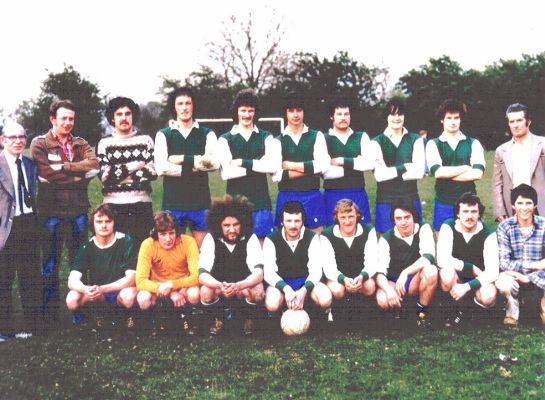 Following an unsuccessful venture into schoolboy football in the 70′s the club began a schoolboys’ section in earnest in 1981, with a growing number of teams representing Blessington FC each year. Success at underage level has been achieved regularly since those early days. In addition a few years back a soccer academy was started on Sunday mornings at the Community College on the Naas Road for 5 – 8 year olds & this has proven to be very successful. As of 2018, the club has 21 juvenile teams, one senior team and almost 400 members .